Cooking is a life skill that everyone has within themselves, but not everyone knows how to foster those skills – which leads many to avoid the kitchen altogether. If you’re one of those people, fear not! And if you’re a novice (or even a self-proclaimed chef) in the kitchen, we commend you. Still, we bet there are some things you didn’t know that could make your life ten times easier. From saving your cheese rinds to peeling your ginger with a spoon, these tips and tricks will help you take your cooking to the next level! Bacon. Need we say more? Often times the one thing that gets in between us and bacon is having to cook it. You have to risk getting splattered and burned just to get a taste of that delicious, crispy good stuff. 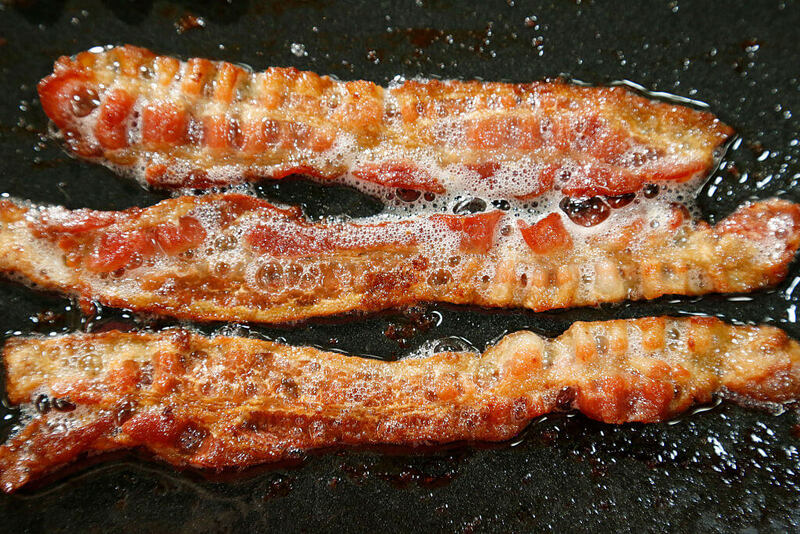 One way that you can cook bacon without having to shield yourself from the splattering oil is to fry the bacon with water. Just add enough water to cover your bacon in a pan and cook on medium-high heat. The water renders the fat and by the time it evaporates, you’re left with perfectly crispy slices. Have you ever cooked chicken (or any meat, really) only for it to turn out dry and bland? 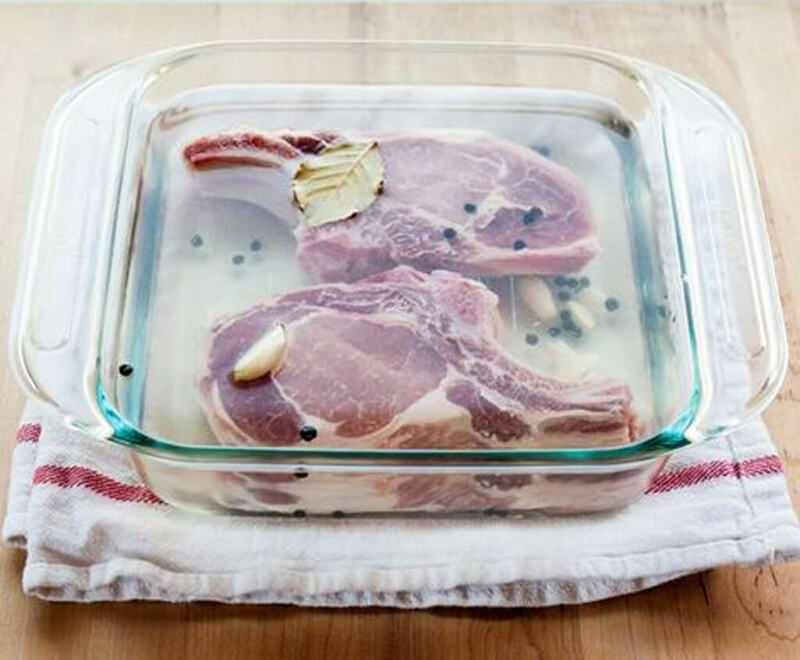 An easy way around that is to brine the meat before you cook it! Combine a quart of warm water and a 1/4 cup of kosher salt in a shallow baking dish and stir until the salt is dissolved. It should be enough to brine about 1 1/12 pounds of meat. You can also add stuff like bay leaves, garlic, or black peppercorn to boost the flavor. Let your meat brine for at least 30 minutes and cook it as you normally would! Brining doesn’t only apply to meats. The same method can be applied to beans, as you’ll soon see! If you’ve ever had to separate egg yolks and egg whites, you know it’s not always as simple as it seems. The best method is to just get your hands dirty! 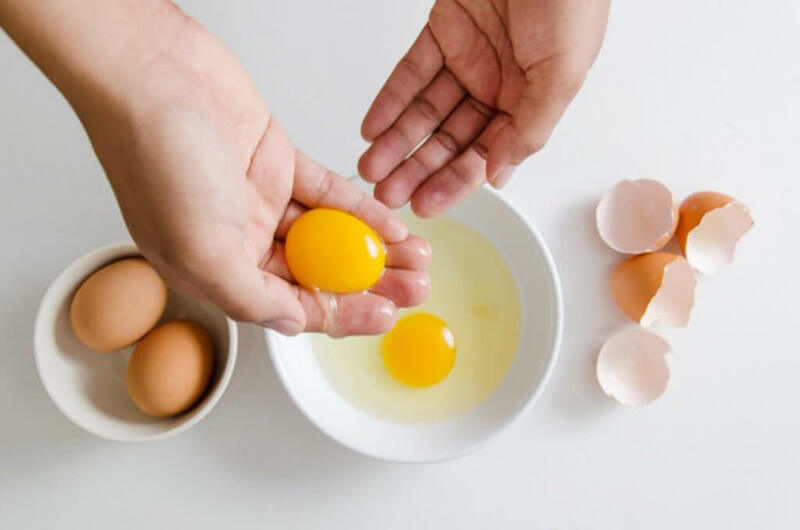 Break an egg into a shallow bowl and gently scoop out the yolk, leaving just enough space between your fingers to let the whites seep back into the bowl. There’s no need for expensive gadgets, and you can ditch the eggshell method – the shell’s sharp edges can puncture your yolks and ruin your whites. Just be sure you wash your hands before and after, of course! Beans can be tricky to cook. People are often warned not to cook them with salt, as it allegedly makes the beans crunchy and hard to cook. However, this theory has been disproved by many a food scientist – you just have to use the salt correctly. 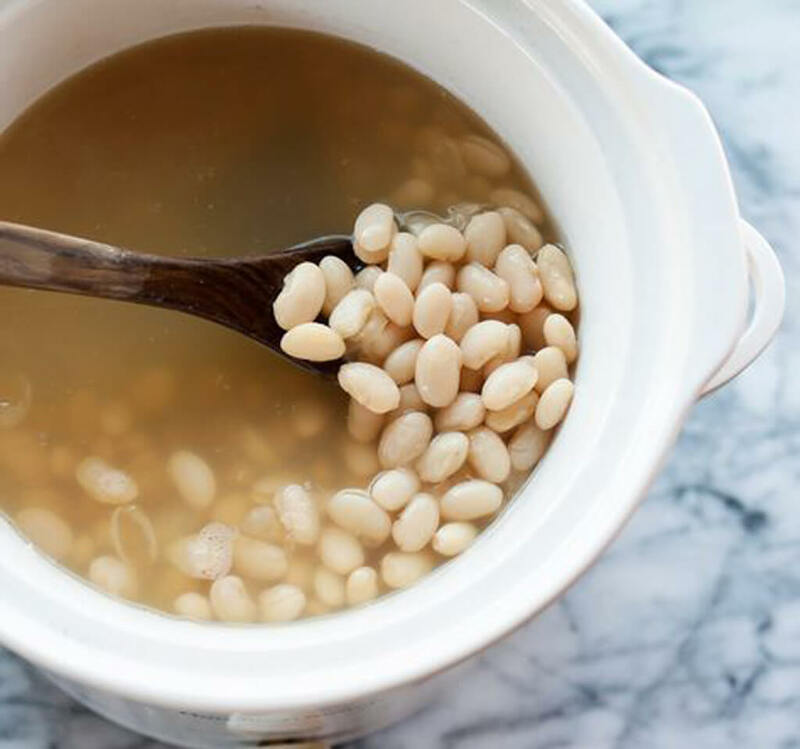 The key is to brine the beans overnight in a solution of eight cups of water and 1 1/2 tablespoons of salt. When you’re ready to cook, drain and rinse the beans and put them in fresh water. Add a sparse amount of salt (a teaspoon or less) and cook away! Coming up, find out how to make your butter less boring! We’ve all had those moments where we’ve cooked up a delicious meal only for it to turn up bland. Even though you’ve followed the recipe, adding the exact amount of spices that you needed to, there’s just something about the dish that makes it blah. The answer is not to add more spices or herbs, although that may help. What your dish might be lacking is acidity. Lemon juice or zest, vinegar, tomatoes, or even white wine would likely add that extra boost your dish needs. 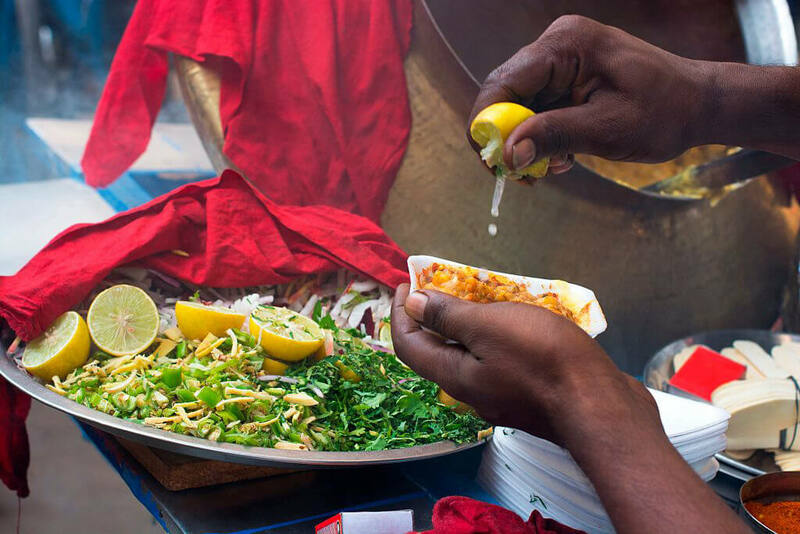 With just a dash of these acids, your dish would be sure to wow! 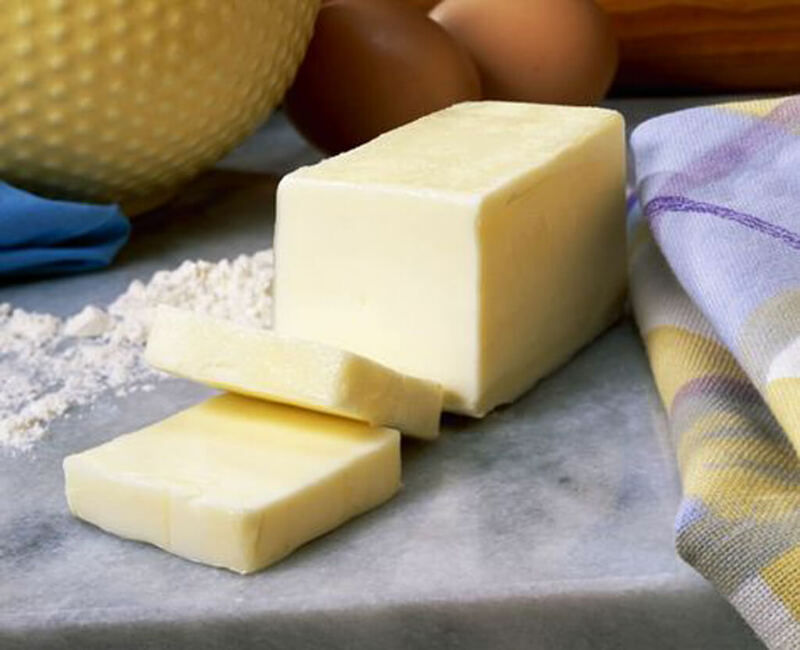 If you’re not afraid of saturated fat, go the extra mile with your butter to make compound butter. Making a sweet or a savory butter can really make your meals pop. Go simple with something like cinnamon maple, or try something different like gorgonzola sage! Take the freshly churned butter at room temperature and add any flavorful ingredients of your choice. Mix it with a spoon or paddle and add salt (if you must) to taste at the end. 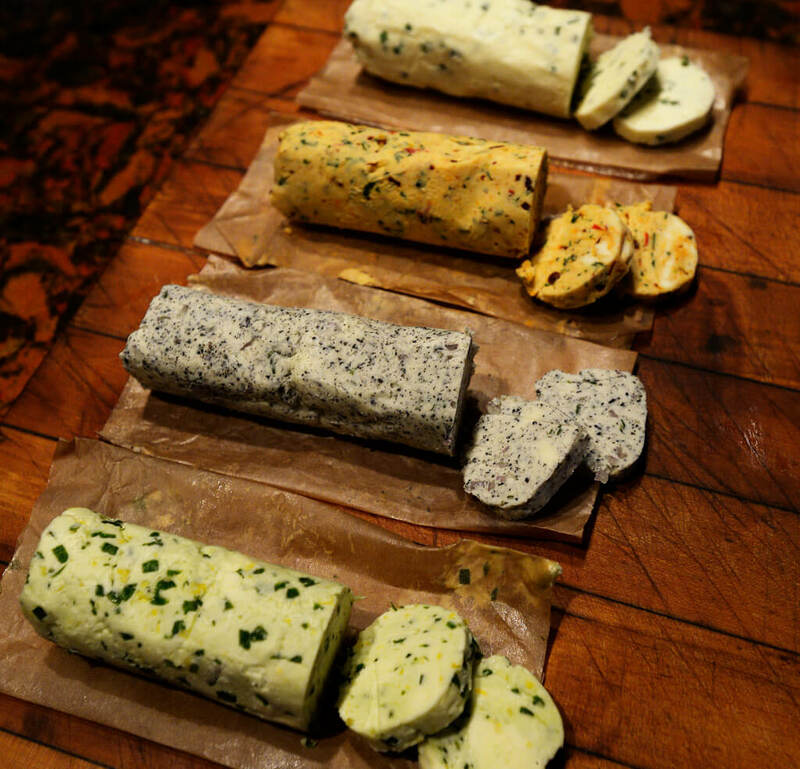 Wrap your butter loosely in parchment paper or plastic wrap. It can be stored in your refrigerator for up to three days. Speaking of butter, find out how to soften it faster for baking purposes! 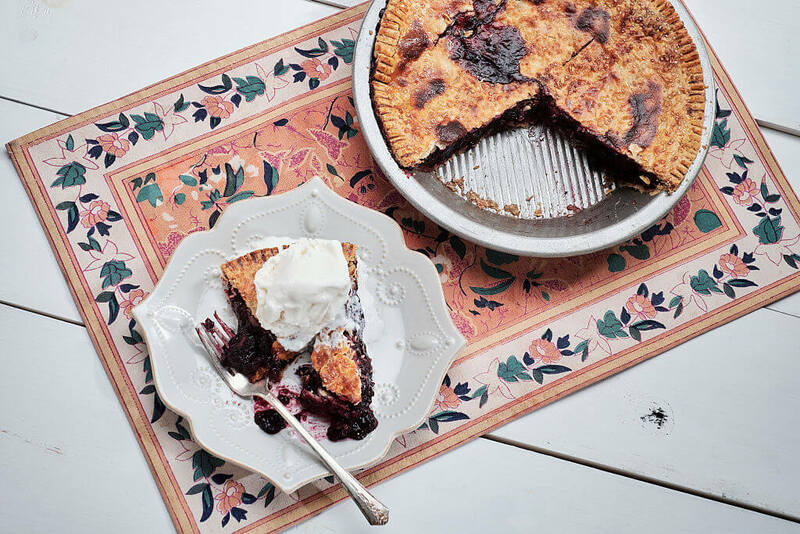 Have you ever made a delicious fruit pie or cobbler, only for the fruit’s juices to end up making all the leftovers soggy? There’s actually a way around that. Let your fruits macerate anywhere from 30 minutes to an hour. Then, drain the juices from the fruit and simmer the juice until it is reduced into a syrup. Poor this syrup over the fruit before you bake off your dessert. The result not only prevents fruit juices from collecting at the bottom of your dish, but it also enhances the flavor of your dessert! When baking, it is essential to have all your ingredients at room temperature. But what if you’ve started and you forgot to take the butter or the eggs out of the fridge? For butter, cut it into tablespoons and set them in a shallow dish or plate at room temperature for up to 20 minutes. The expanded surface area will allow it to soften faster. For eggs, submerge them in warm water for about five minutes. However, if your recipe calls for separating the whites and yolks, just leave them in the fridge since room temperature yolks break easily. 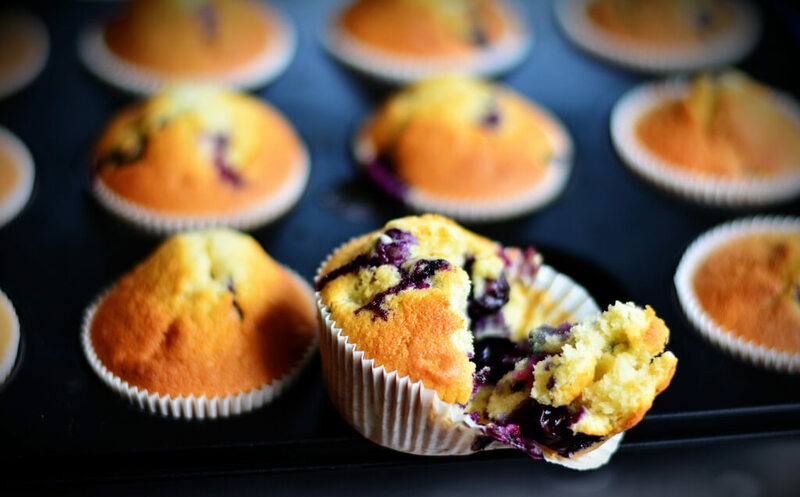 Have your blueberries all sunk to the bottom of your muffins? Find out how to stop this from happening! Don’t you just hate when you’re tossing a salad, but it seems your dressing drenches half the greens and leaves the other half completely dry? One way around that is to lightly pour the dressing around the sides of the bowl, rather than on top of the greens. 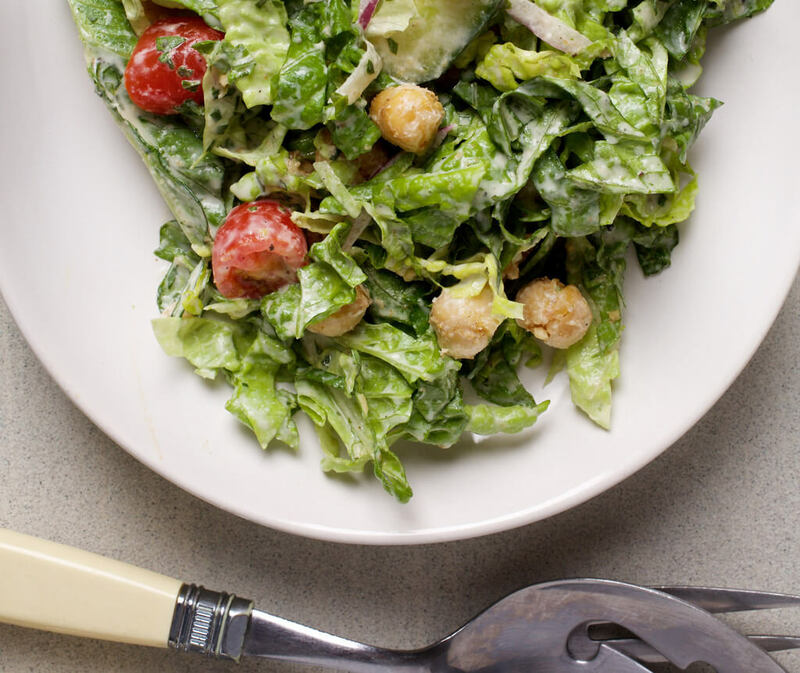 With the dressing on the sides, it is will likely to coat more greens as you toss them around the bowl. This is one method that coats each leafy green with the ideal amount of dressing. Now each bite of your salad can be just as flavorful as the last! There are few things worse than baking a blueberry muffin, only for you to discover that all the blueberries have sunk to the bottom. After combining your dry ingredients, add a couple tablespoons of it to the blueberries in a separate bowl and toss to coat. Blueberries are dense, which makes them sink when your batter isn’t as thick. When you add the coated blueberries to the completed batter, they will adhere to it better. This way, you can ensure that you get an ample amount of blueberry goodness throughout the entirety of your muffins. Is the bitter taste of green juice preventing you from enjoying it? A tip coming up will fix that! If you have an affinity for grain salads, you may or may not be missing an essential step in the cooking process. Grains such as rice and quinoa can be cooked with a dash of salt. Similar to how you’d salt pasta water, just add a dash of salt to boiling water before you add the grains. This already boosts the flavor of the grains and allows you to use less dressing. 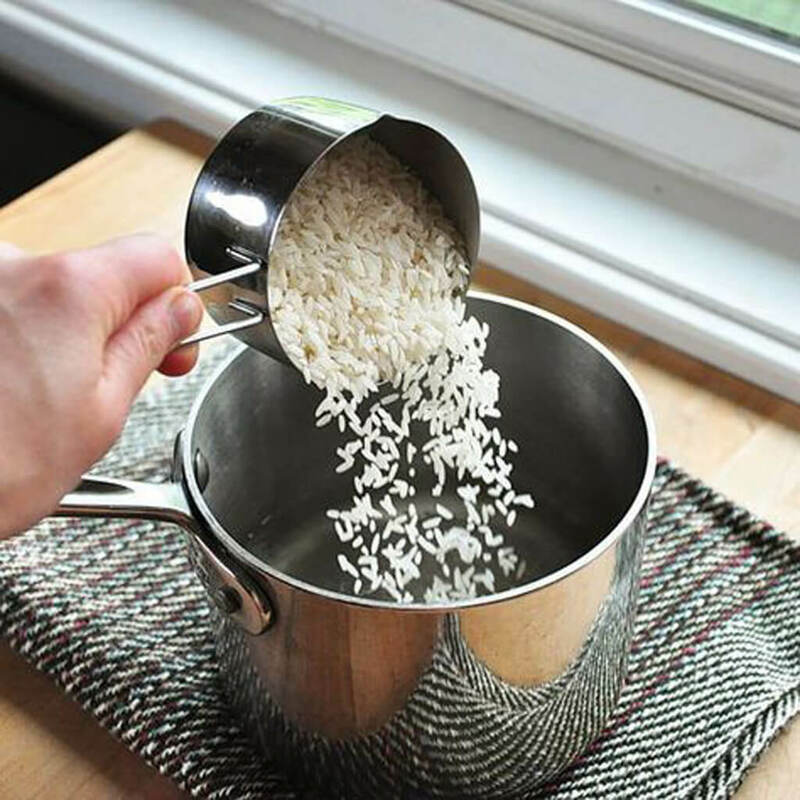 If it’s a grain like rice that absorbs a significant amount of liquid, add about 1/2 teaspoon of salt per cup of grains (and maybe even less if you’re cooking it in a flavored stock). A lot of people don’t like green juices made with kale, chard, or other leafy greens due to the bitter flavor. Adding sweet stuff like agave nectar or pineapple works, but not for people who also aren’t fans of overly sweet things. If you’re one of those people, but you feel like you’re missing out on the nutrients, there’s an easy solution! Counter the bitterness of the greens with acidity instead of sweetness. 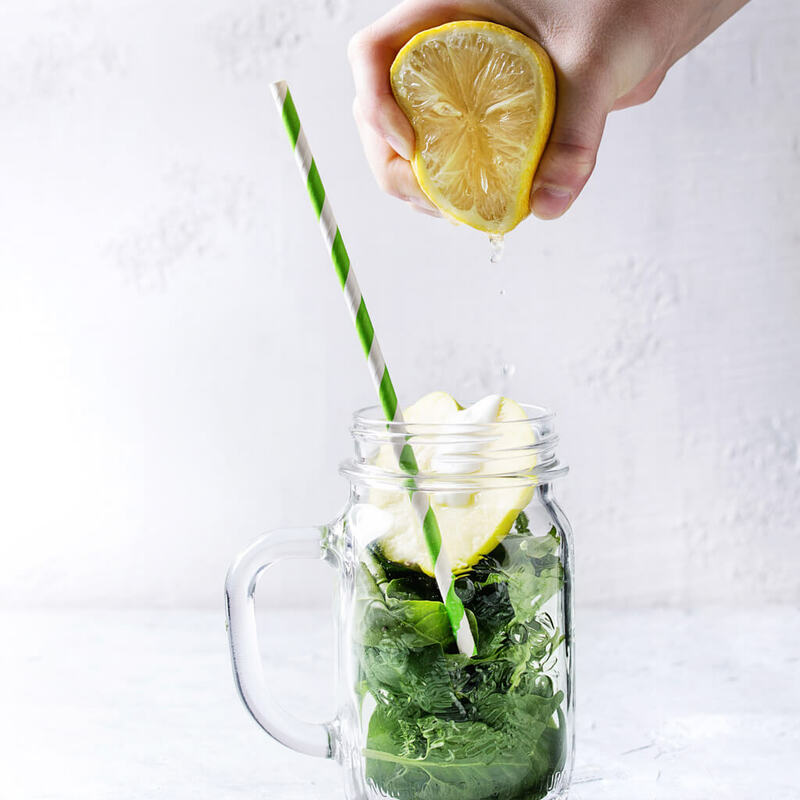 Add a squeeze of lemon or lime juice to your greens, then keep adding more to taste. This makes your green juice not too sweet! You’re not alone in the quest to find the perfect cookie-baking method. Everyone craves those cookies with crispy edges and perfectly chewy middles. One way to achieve this is to give your dough a break! 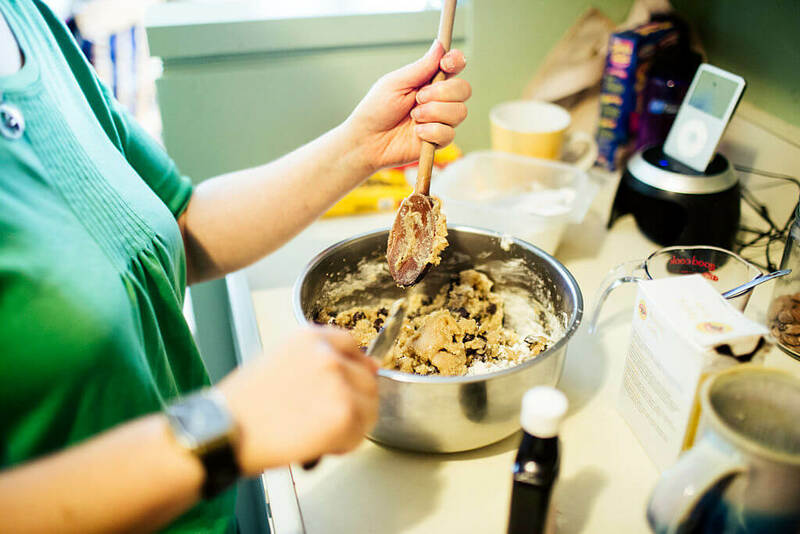 Before adding the dry ingredients to your wet ingredients when making cookie dough, try letting the wet ingredients sit for around 10 minutes. This allows the sugar to dissolve better into the liquids so that when it bakes in the oven, it caramelizes faster. This gives the cookies better texture and deeper flavor. We can’t wait to try this for ourselves! Peeling tomatoes doesn’t need to be as hard as it seems to be. Try the poaching method to get those skins off. 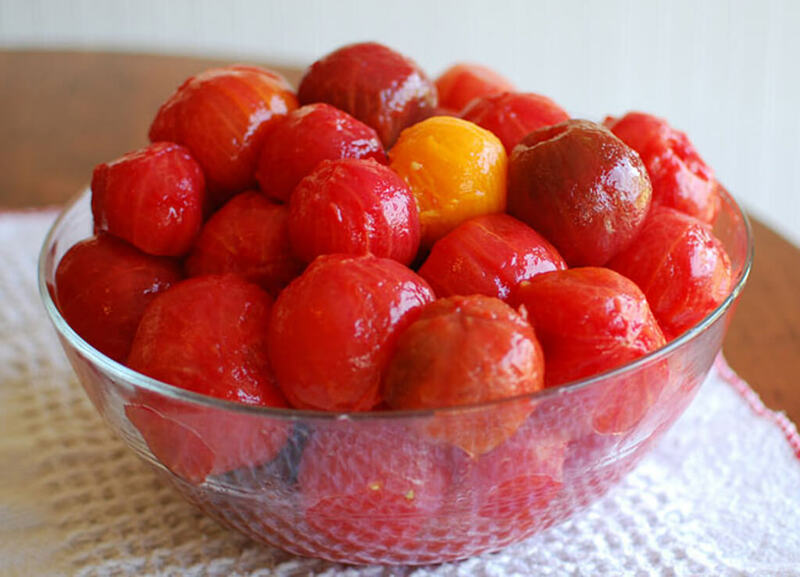 While bringing a pot of water to a boil, take the stems off your tomatoes and cut a shallow “X” in the bottom. Meanwhile, also have a bowl of ice water prepped and next to your boiling water. Drop the tomatoes in boiling water for up to a minute, then using a slotted spoon, scoop them out and put them in the ice water. When they’re cool, transfer the tomatoes to a cutting board and the skins should easily peel off! Speaking of pesky skins, ginger is another culprit. Soon you’ll see why you needed a spoon all along! If you haven’t been enlightened to the magic of toasting, then here you go. 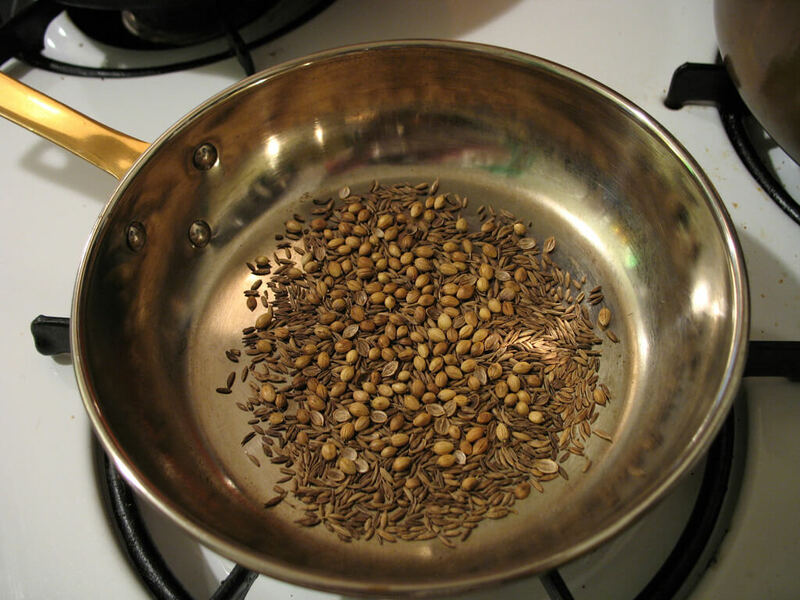 Toasting your spices can really help wake up a dish. Toasting dry, whole spices will really bring out their flavors. You can do this by stirring them briefly in a dry skillet over medium heat until they are fragrant. Be sure to cool them before you use them. The same goes for nuts and grains! Toasting these things before adding them to a dish will give your meal with a warm, roasty flavor that will be sure to impress. Have you ever had a hard time peeling ginger? Using a knife or even a peeler gets all the skins off, but only at the cost of wasting a lot of the flesh. Getting the most out of your ginger sans skin is actually much more achievable than you think. All you need is a spoon! 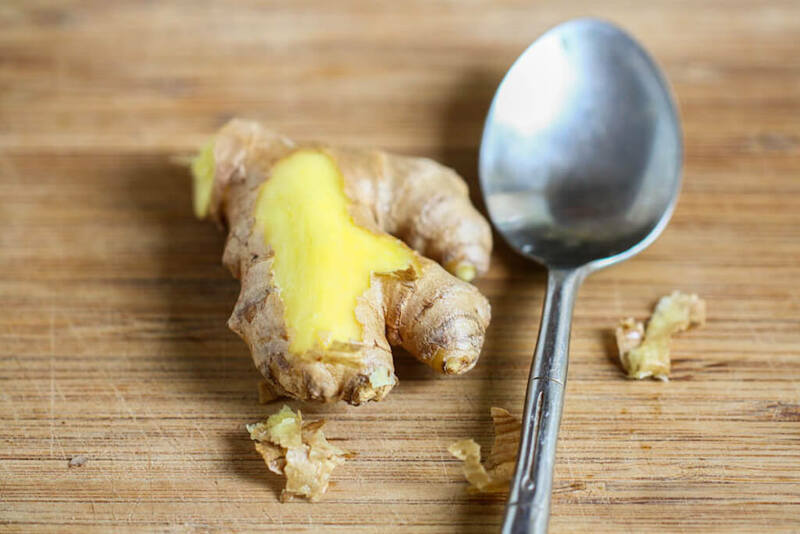 Cut off the amount of ginger you need and trim off any unnecessary nubs. Holding your piece of ginger in one hand, use the tip of a spoon to scrape away at the skin. It should come off pretty easily with the flesh intact. 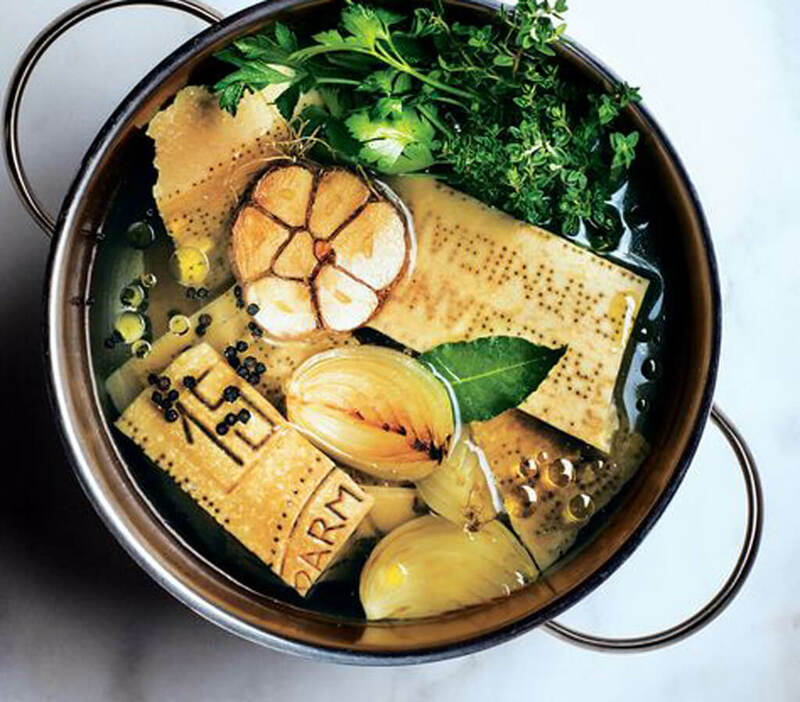 Coming up, find out why you should be saving your parmesan rinds! Have you ever felt too bad to admit to Mom that her meatloaf was too salty? Or maybe that it could have used a little more of this or that? She probably didn’t taste test her meat mixture before baking the whole thing off, which is what you should do if you don’t want to make the same mistake. 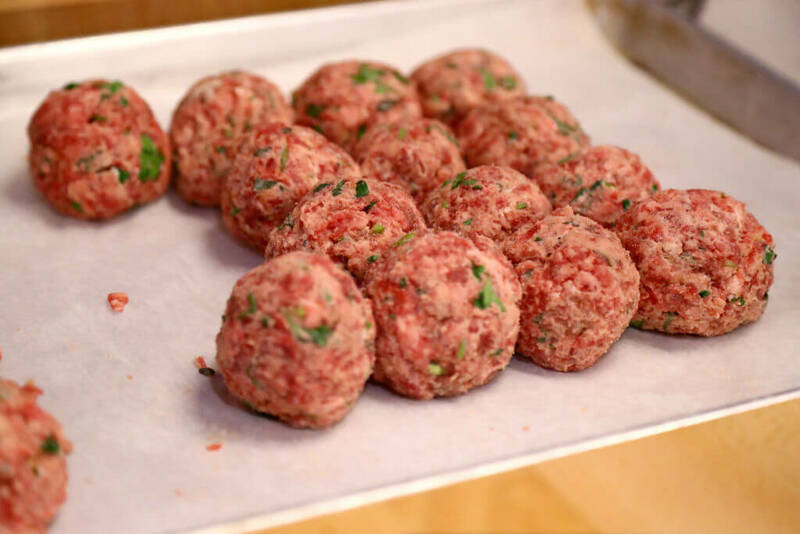 When making a meatloaf, sausage, or meatballs, take a small chunk of your mixture and fry it up to see how it tastes. From there you’ll know if it needs anything else before you cook up the whole shebang. Parmesan rinds are the spice you didn’t know you needed. You can freeze your unused parmesan or pecorino rinds in a resealable bag all year long. When you’re ready to use them, just toss them into whatever stew, soup, or sauce for an added boost of rich flavor. As it simmers in the pot, the rind should reduce as its flavors are absorbed by whatever you’re cooking with. Just remember to remove whatever’s left of it when you’re done cooking. Once you get a slurp of your rind-enhanced dish, you’ll likely start hoarding all the cheese rinds that cross your path! It’s no secret by now that salt is the most essential item in your kitchen. But it helps to know which salt is best and when to use it. Most recipes call for kosher salt because its crystals dissolve quickly. Table salt, on the other hand, is much finer and if you’re using it in place of kosher, you’ll want to use a lot less. 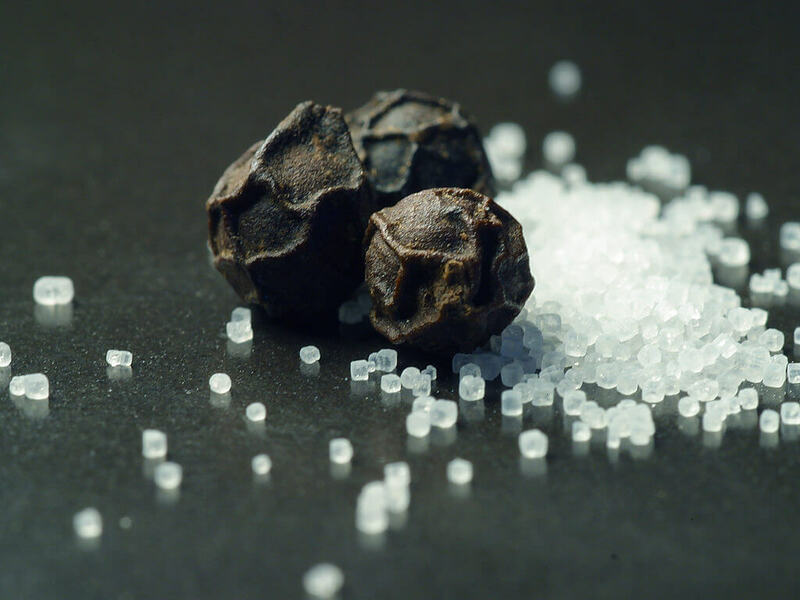 The same goes for finely ground pepper and coarse ground pepper. 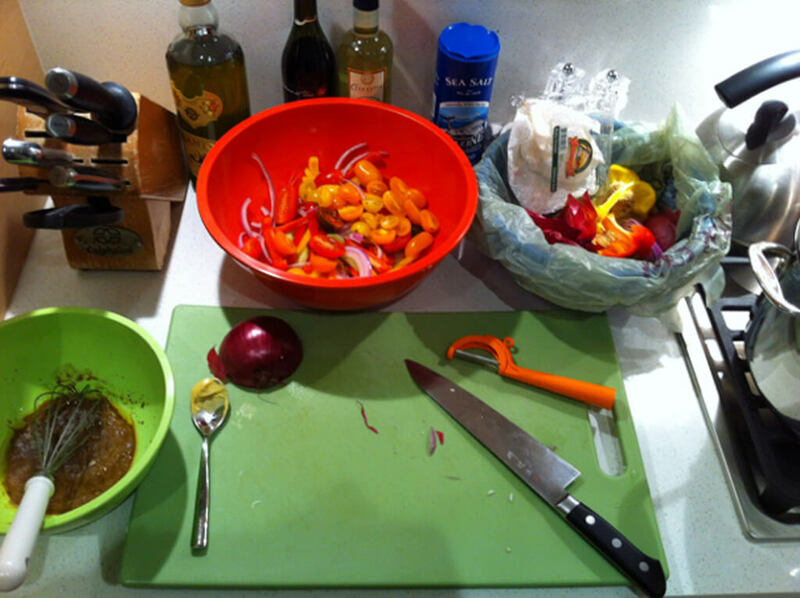 The former is strong and best for sauces, while the latter is best for enhancing dishes at the end of cooking. Timing is key when preparing a delicious meal. Doing each task efficiently and working clean will streamline your process and should make it stress-free. Start off by reading your entire recipe, so you know exactly what you need and when you’re going to need it. This goes not only for your ingredients, but also your tools. Working clean also keeps things organized and eases up the cleaning process afterward. If Rachel Ray was right about anything, it was to have a dedicated garbage bowl next to you while you work. This eliminates having to walk over to the unsanitary trash every time you need to toss something.